NJ Sewer Solutions for Sewer Repair, Sewer Clogs and more.. Dealing with clogged drains all throughout your NJ home? Is part of your yard unusually moist and sinking downward? Worst case scenario– do you have wastewater seeping back up into your toilets and drains? Don’t panic. 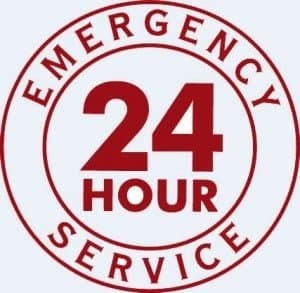 At A1 Sewer & Drain, we’re available 24 hours a day, seven days a week, with emergency sewer repair services in Hudson County NJ whenever you need it. Even if it’s the middle of the night, we can have a certified sewer service contractor at your door in minutes, ready to solve the problem for you and mitigate the damage. 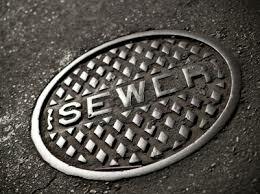 Don’t let sewer problems ruin your day: call the experts at A1 Sewer & Drain. Why Choose Us for Sewer Repair in Hudson County NJ? When you need emergency sewer repair in Hudson County New Jersey, you need the job done right, you need it done fast, and the last thing you need to deal with is a surprise charge or a hidden fee. At A1 Sewer & Drain, we pride ourselves on our sincere dedication to satisfying all of our customers. We’ve been serving our local community in Hudson County NJ and adjacent areas for over twenty-five years, providing the very best service at prices that are fair, affordable, and straightforward. 24/7 Emergency Sewer Repair Service. Sewer problems simply can’t wait; not when your basement is flooding, your lawn is turning into a marsh, and water is coming up the drains. At A1, we’re available 24 hours a day, seven days a week. We’ve always got staff on call to take care of sudden sewer repair emergencies; after all, sewers don’t have a sense of time. When they’re going to break, they’re going to break. When that happens, we’ll be there. Lighning-Fast Response Times. When you call us for sewer repair in Hudson County, we’ll arrive at your door in less than 45 minutes, every time. Experienced Contractors. At A1 Sewer & Drain, we won’t let just anyone handle your sewer lines. We hire only the most experienced, skilled, and dedicated sewer repair contractors, to ensure that every job is done right the first time. 100% Satisfaction Guarantee. We’re so confident in our services that we offer an absolute guarantee that our customers will be satisfied with our work. Don’t let just anyone mess with your sewer system: call the experts at A1 Sewer & Drain for Hudson County, NJ’s best service. When we arrive at your home or business for sewer repair service, we’ll begin by carefully identifying the problem. Our contractors have years of experience and training, and can quickly figure out exactly what the problem is. Sewer issues can stem from a variety of causes, including clogging, cracks, and tree root growth. Using sophisticated sewer camera inspection systems, we can pinpoint the cause with total certainty, so we can take the right measures to fix the problem for you. Once we’ve diagnosed the problem, we’ll let you know exactly what kind of sewer repair will be necessary to fix it. 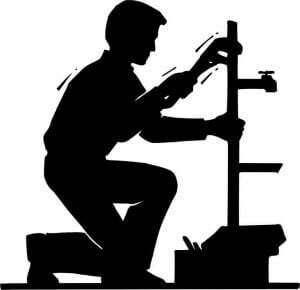 We use a range of tools and techniques that allow us to tailor our sewer repair services to each individual case that we handle. At A1 Sewer & Drain, we specialize in trenchless sewer repair methods that can spare you a major headache. 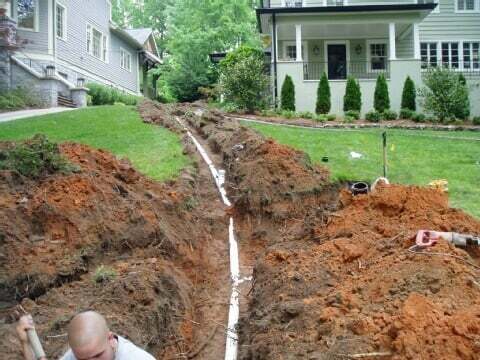 Sewer excavation is a long, costly, and disruptive process, so we don’t dig up your yard unless there’s absolutely no other choice. Most problems can be addressed with trenchless sewer repair techniques like pipelining. 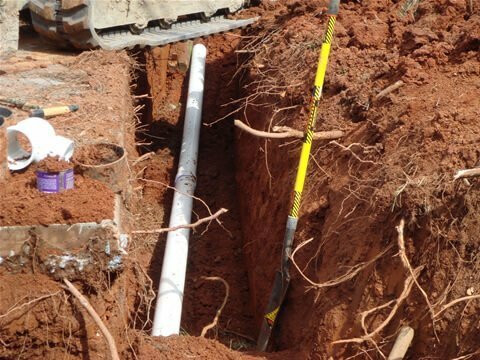 Even sewer line replacement can be done without excavation, using pipe bursting equipment. Sewer emergencies can take you by surprise, even in the middle of the night. At A1 Sewer & Drain, we’re here for you 24/7 with fast, professional, and highly effective sewer repair in Hudson County, NJ. 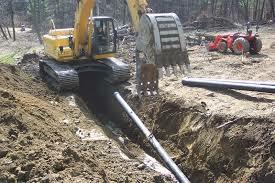 Call us any time and get sewer repairs in New Jersey today, at 201-645-0888.